Hey all. Well it’s official, I think. 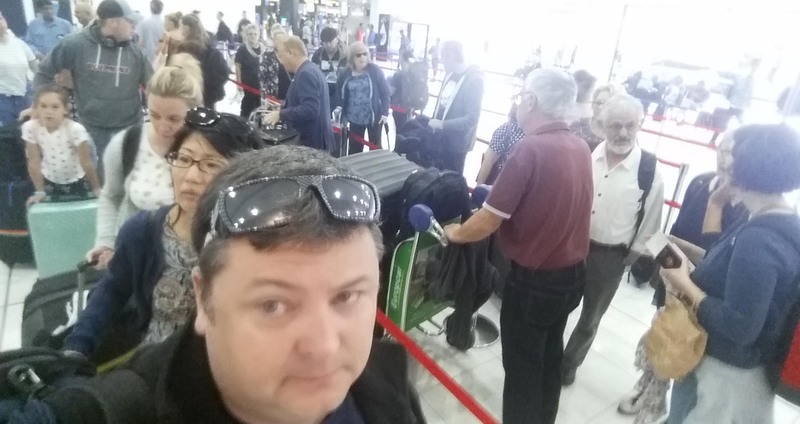 I think I hate my home airport, Melbourne’s Tullamarine. There are plenty of reasons not to like it, but after my last trip there, I’m pretty much fed up. 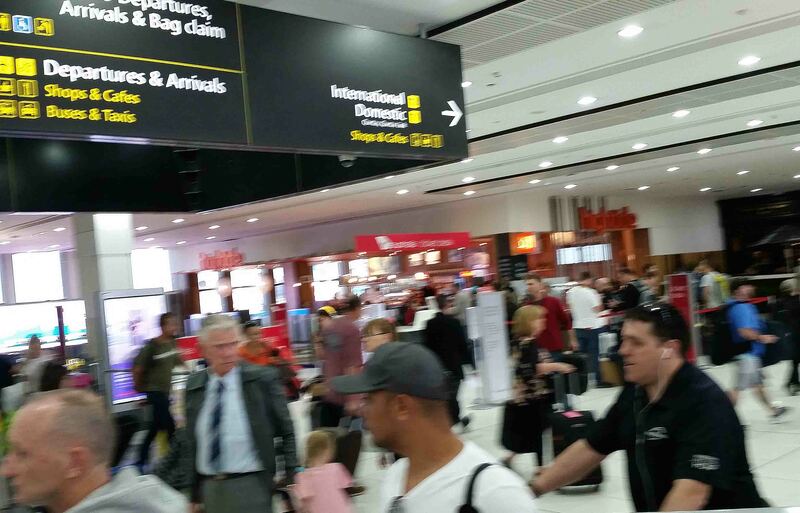 There are two pressing issues with Melbourne’s main international airport. The first is the distance. Having to get there last week in morning peek hour traffic (we left home at 8am) we met slow, near stopping traffic all to get into the city. After that, admittedly it was pretty much smooth sailing to the airport, but nevertheless the airport is around 30km from the centre of town, and you are destined to pay tolls. Apparently there is another way to the airport on non-toll roads, however it’s likely to take you a log time and is mostly improvising along back streets. In short, I have never ever heard of someone taking it. The toll roads mean it costs significantly to get to or from the airport. If you take a taxi, well, to get to southern or eastern suburbs, or far enough out west you are looking at a least a hundred bucks. Which is pretty much insane. Uber are fractionally cheaper (I used Uber a couple of years ago and it was still in excess of $80). Public transport? There is the Skyrail bus, which services south-eastern suburbs. There’s another that does the east and there’s one to Southern Cross Railway Station in the CBD. That’s at least $19 but it is the cheapest way to go about it. And that puts you on the road, which is subject to the traffic, oh and it’s also subject to the interminable roadworks. Wherever you are in Melbourne, you can be sure that you are not far from roadworks. The freeway to the airport is almost always slowed down with lanes closed no matter what time of day it is. Yep, a train link to Melbourne airport does not exist. It’s been a subject of major annoyance for Melburnians for as long as I can remember. Political parties promise to build a rail link, or look into it, or plan it, but here we are at the end of 2018 and we are no closer to having the thing. There are plans again in the pipeline, and we will see if they ever materialise into something solid, but it would take years to build (unless this was Japan and it would be up by the end of the week). Money has been promised by Federal and State Governments, but personally this is one regular traveller who does not plan to hold his breath! But even if it were to happen, it would not solve the biggest problem of Melbourne Airport. And that is simply capacity. It’s not big enough for the number of passengers that go through it every day, week, month and year. And this is despite them building a special terminal for lowcost carriers Tiger and Jetstar. 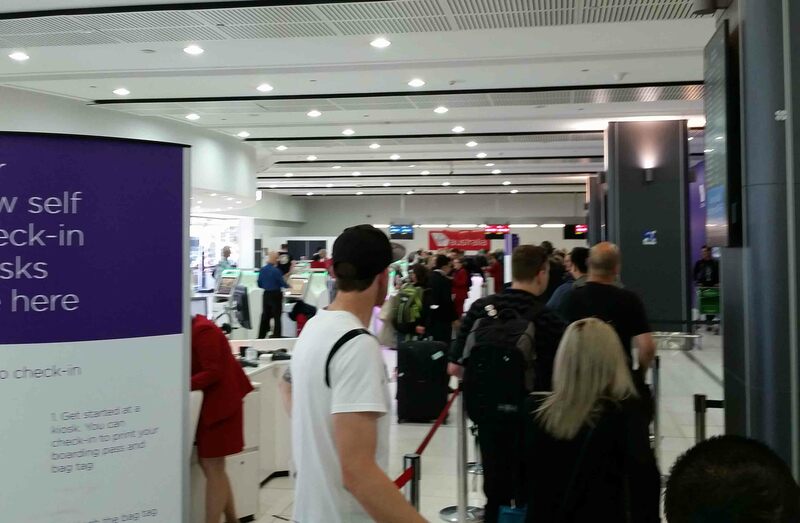 Last week the chaos of checking in for Virgin Airlines when flying to the Sunshine Coast, in the Domestic terminal, was ridiculous. They have these newish machines for checking in and printing boarding passes and bag tags. Which took all of a minute or two. Which is great, so tags put on the luggage we were checking in. Then we had to line up for bag-drop. It took around 35 minutes to drop our bags there. Consider they advise you to get to the airport 45 to 60 minutes early for domestic flights. (I think 45 minutes is if you have done online check in). 35 minutes of 45 minutes to drop your bag? That leaves you with 10 minutes to do your security scan, rush to the gate and hope they haven’t shut it. Of course, most people get there with more than an hour up their sleeve, but nevertheless. Just finding the check-in area was a task and a half too, the signs were a little unclear where exactly the arrow was meant to be pointing. And it feels as densely filled with people as any airport I have been to. Well, okay Istanbul and Dubai in certain places felt worse. But not before heading into security. And it’s the same for international departures too. You feel cramped and stifled, it feels like the check-in area has been squashed into an area too narrow to contain it. I think one reason is that a few years ago now they had to expand the passport check and x-ray/security area to include new full scan machines and extra security. Which is a sign of the times we live in I guess, but even so after the expansion, if anything it takes longer to get through security than ever before. Two years ago it was well over an hour. You get to check-in over three hours early, but to your gate barely in time for them to board you! 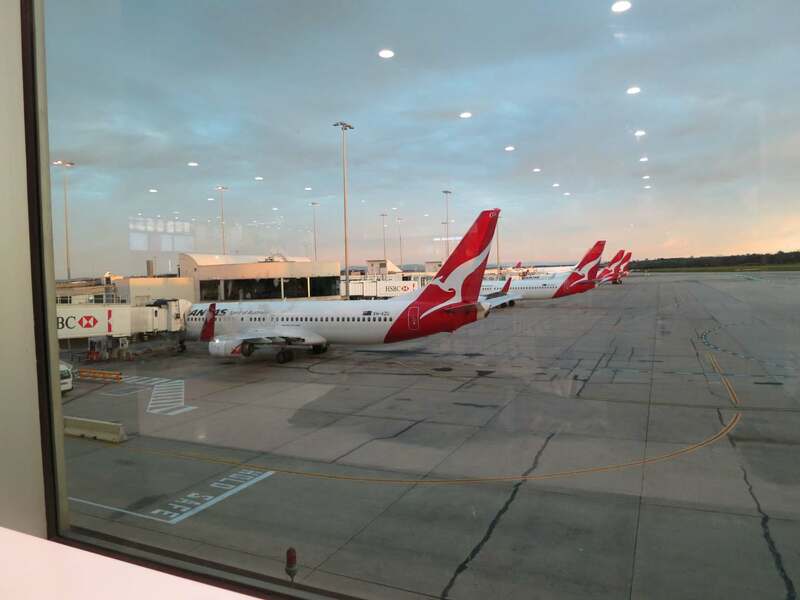 Lesson – allow extra time at Melbourne Airport when flying out! And allow extra time to get to the airport! In short, you can easily lose half a day if you’re flying out internationally just getting to the airport and getting to your gate on time! And so, rant over. Sooner or later they are going to need to properly expand the airport somehow, or build another. I think I heard there might be plans to build an international airport in the outer eastern suburbs area. I’m not sure. I worry because the day is coming where the balloon is just going to burst. Thanks for reading. Have you flow through Melbourne’s Tullmarine Airport, and if so, how did you find it? Please do comment, and as always – May the Journey Never End! Oh man, you look so unhappy. I’ve never been to this airport but hope your next experience will be better!! Thanks for the comments and the empathy Agness! Uggg. I look at those photos and I hate the airport without having even been. Holy christ Australia is expensive! $80 Uber? transport in Melbourne… and Australia is pricey especially when it comes to ubers or taxis. 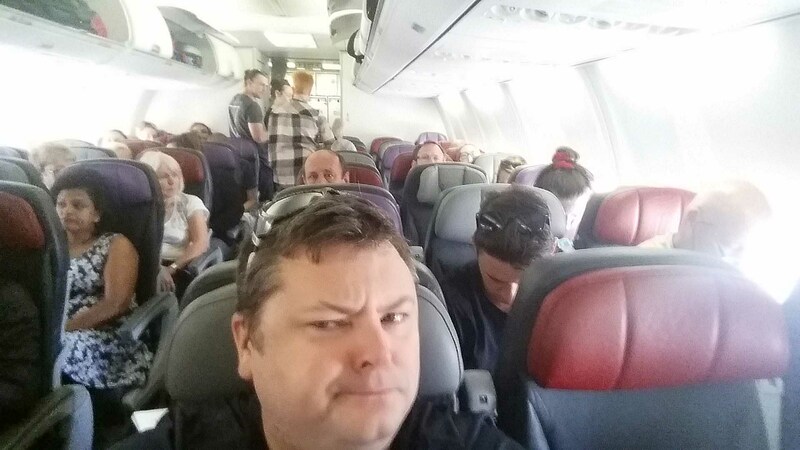 Tullamarine is okay when arriving though, it’s checking in where it can be rather chaotic. I guess the increase in people flying over the last few years has really had an impact. Thanks for reading as always! I completely agree about the transport, but not so much about the rest of the airport – it just feels the same as pretty much any airport to me. Maybe a bit cleaner than Manila and Denpasar? I will give you that airports in Australia are crazy expensive, even compared to the rest of Australia. For food, drinks, socks, whatever you want to buy. 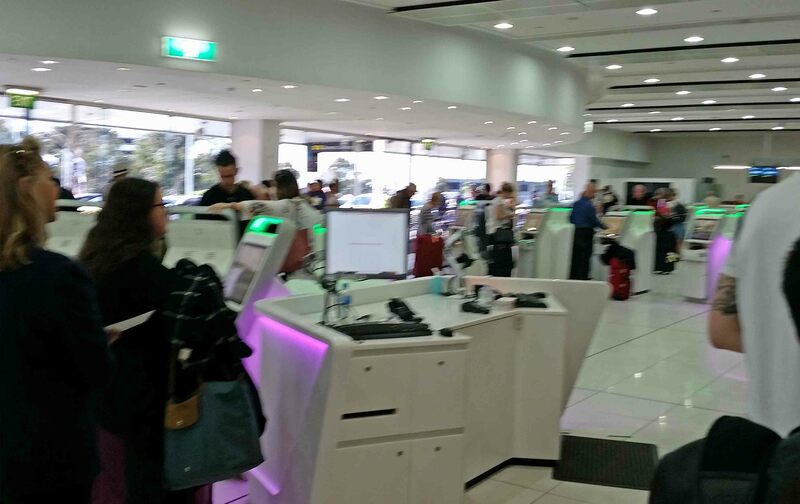 I’ve had some slow check-in/bag-drop experiences at Melbourne but they don’t quite compare with my Gold Coast connection to Sydney a couple of years ago. I had maybe a 2-hour turnaround time to transfer from an international flight to domestic, and all the workers were half asleep and just cruising along at their own pace. They weren’t particularly helpful to anyone and certainly weren’t going to hurry to help people make their connecting flights. But maybe I just expected more or felt more entitled to good, even pleasant, service after the customer service in Japan. In my experience at Melbourne they’re not friendly but they get the job done. I guess it was the disorganisation more than anything and maybe this time it had more to do with the Virgin staff and systems than anything, but the last few times I’ve been through been extra tedious and poorly organised, and most of all cramped. Having said that, Sydney is still probably worse! I feel like despite the addition of the Tiger terminal it just doesnt handle the number of passengers it has and needs … well probably to be rebuilt. thanks for commenting!